Everyone knows that the electoral college system weights the votes of some American citizens much more heavily than it does the votes of others. Specifically, states with small populations have a much higher ratio of electoral votes per eligible voter than larger states do. One solution? Abolish the electoral college. 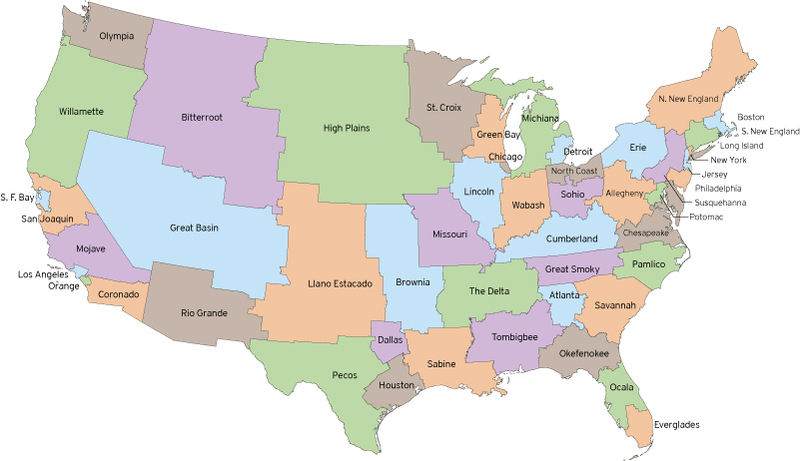 Neil Freeman at FakeIsTheNewReal.com offers another: redraw state boundaries so that each of the 50 new states has a roughly equal population (of about six million people each). And --as a bonus-- it looks like DC residents get some form of statehood out of the deal!